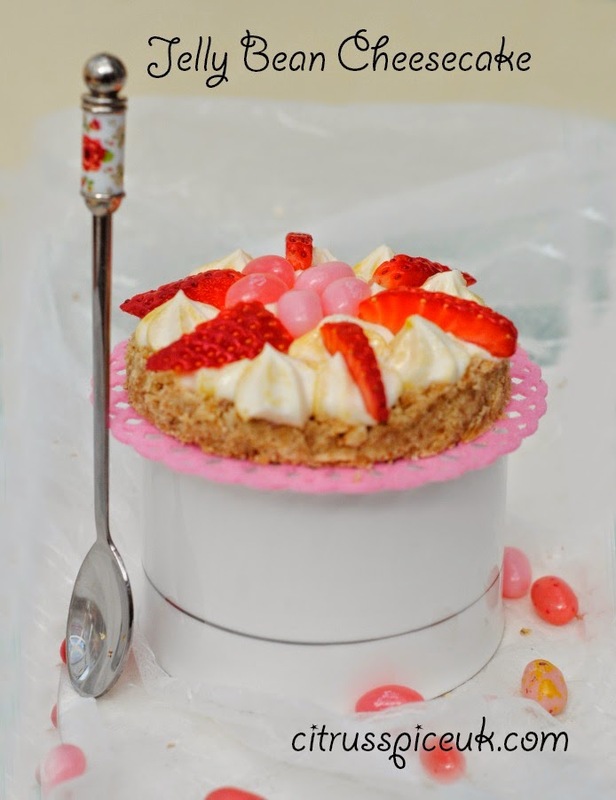 Today is national Jelly Bean day and I have created this delicious mini cheese cakes to celebrate the day. 1. Crush the biscuits . 2. Melt the butter and add it to the biscuits, mix together to form a sand like texture. 3. Place four ring moulds (without the base) on a baking tray lined with parchment paper. 4. Divide the biscuit mixture into the four rings and press it smooth and pack it into the rings. 5. Place the tray in the fridge to chill and set the biscuit base. 6. In a bowl add the mascarpone, icing sugar and vanilla and whip it together. 7. Fill a piping bag fitted with a star nozzle with the mascarpone mixture. 8. Run a sharp knife around the edge of the ring to release the biscuit base and gently lift off the metal ring. 9. Place the biscuit bases on to serving tray and spoon over them some mango compote. 10. Pipe over the compote the mascarpone mixture. 11. 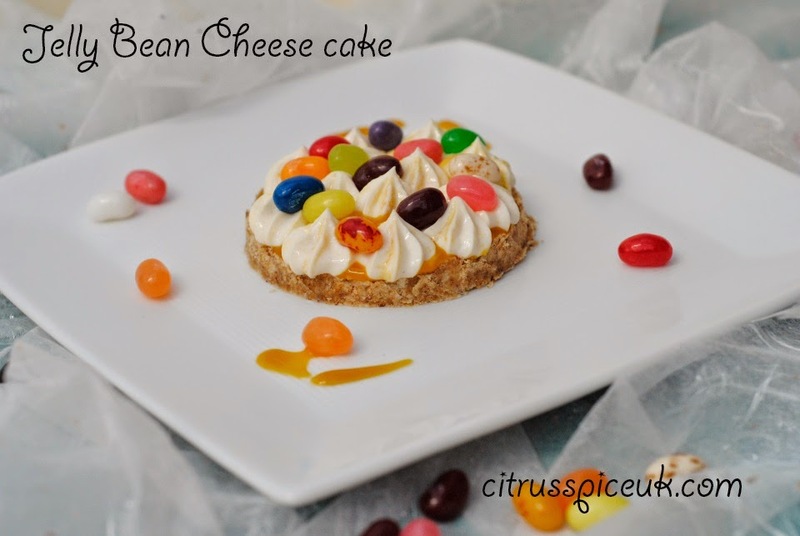 Scatter some jelly Belly beans on top of the mascarpone and chill the cheese cakes before serving. Thankyou to Jelly Belly for sending me the Jelly Beans to try. If you would like to win a spring box of Jelly beans check this post to enter the give-away. They look absolutely delicious, and so easy to make! I have to try these the next time I'm baking with my daughter. Thank you for sharing these. Lexi they are really easy to make, no need to cook and you can use any seasonal fruit. Oh lovely idea Nayna - I do love jelly beans but haven't had any for years. We had a box of 40 flavours to enjoy. Oh my goodness I am getting a sugar rush just looking at this, what a great creation! IThey are perfect to enjoy as they are mini so no need to feel guilty. I had no idea that Jelly Bean day existed! 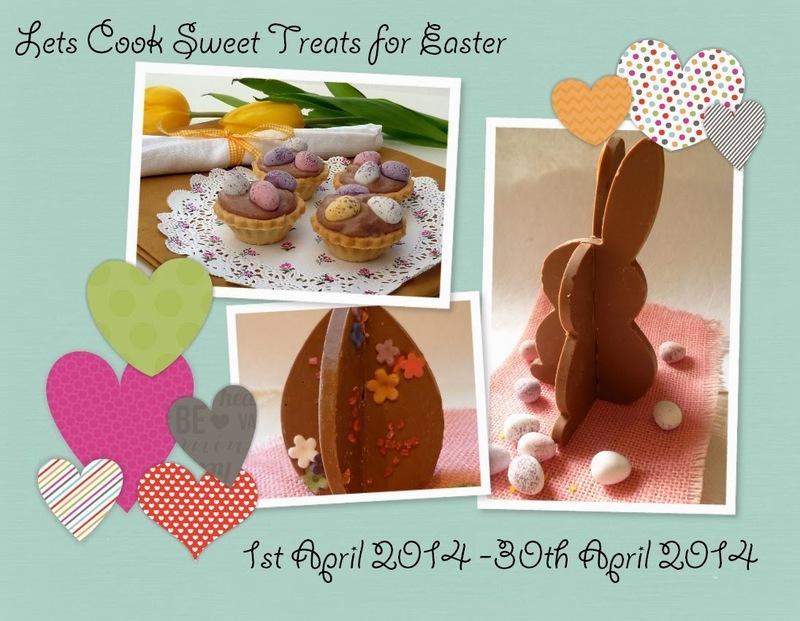 These do look delish! NOM. I love jelly beans and I love it that there is a national Jelly Bean Day! They would be perfect for a little "afternoon tea party" for children. Mmmm, this looks so good! Something I can make with Jack! oh my goodness - i love this! So cute and such a creative idea. I can just see a group of girls making them as a treat. What colourful puds. My kids would adore these. Not sure if my last comment went through as my internet died! These little cheesecakes look great and easy for little hands to help with too. wow! that look amazing! will give it a try! These are mega cute and I adore cheesecake. yummy. They look so pretty too. I totally love this. Very quick, easy and creative. That looks gorgeous and ideal for kiddies! What a perfect little pud for a child's party! Great idea, I think we'll be trying this out next time we make cheese cakes. 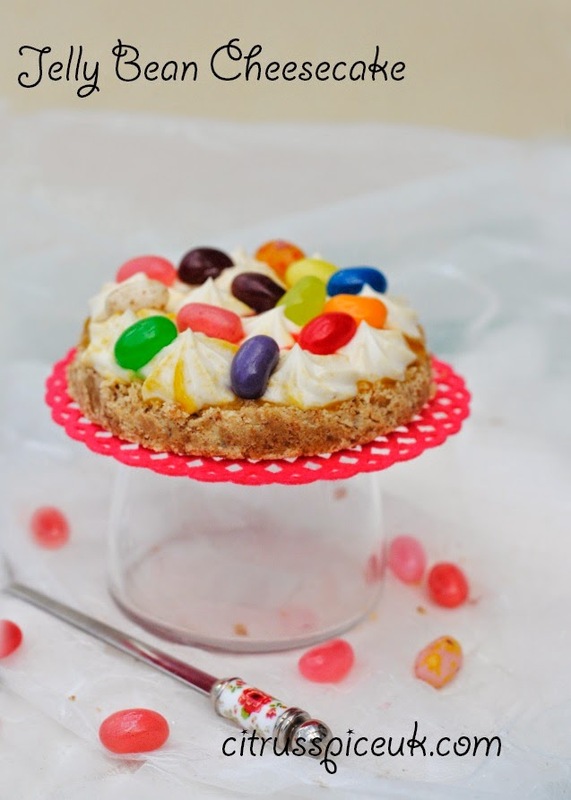 These look great, i love cheesecake and i love jelly beans. Winner all round. 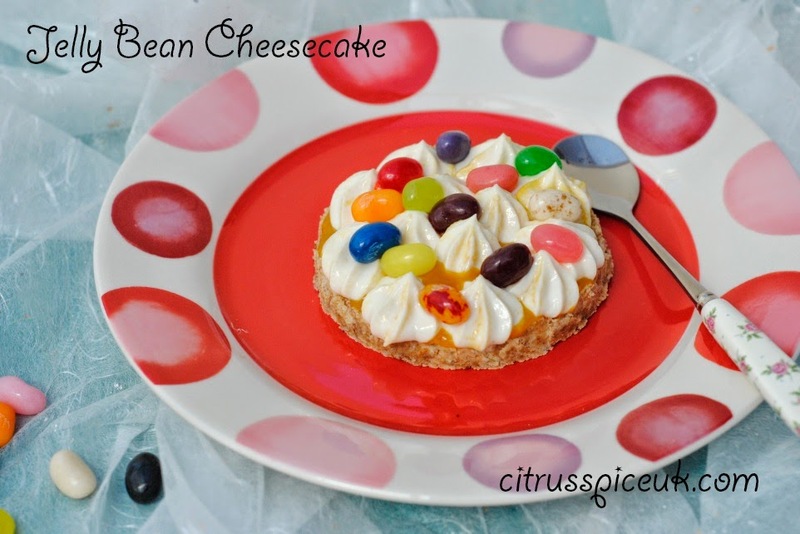 I love cheesecakes and i love jelly beans, winner all round. Another addition to my prop collection.